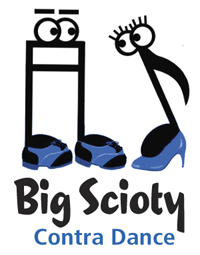 We offer a beginner lesson at 7:30 pm, ½ hour before the dance. 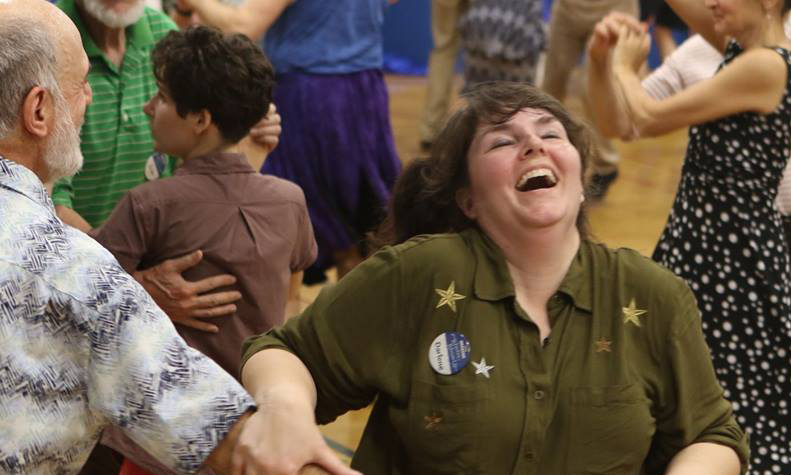 New contra dancers are encouraged to attend. No need to come with a partner. All dances begin with a walk-through of the dance. Wear cool and comfortable clothing, since you may warm up as the night progresses. Wear comfortable, clean, dry shoes that will let you move easily on our nice wooden floor. We book the best regional talent for your dancing pleasure. 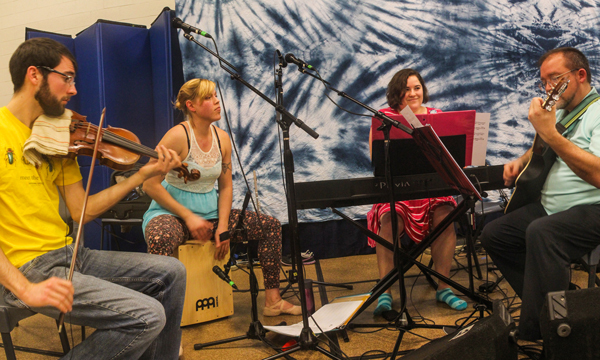 These musicians and callers work together to deliver a lively and fun contra dance experience. Look below for information on the talent we have booked for our next dance. We are a multi-generational community and all are welcome to join us. We look forward to meeting you! Glad you asked! 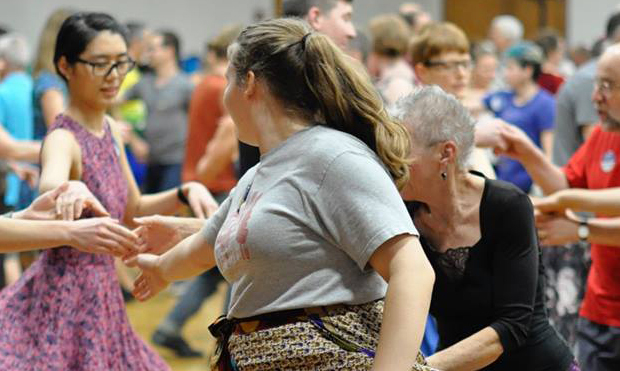 Contra is a form of social dance that, like square dancing, has roots in the barn dances held in pioneer days. 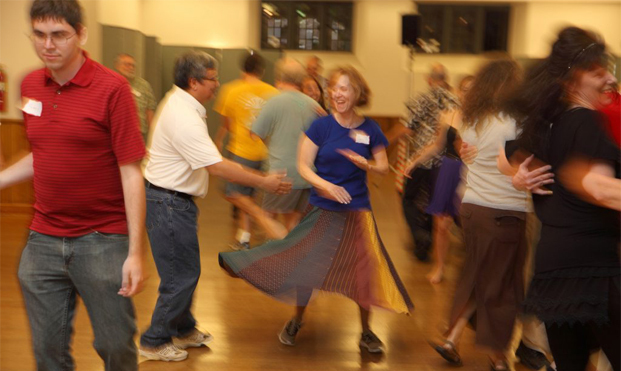 It’s fun and easy to learn – if you can walk, you can contra dance! 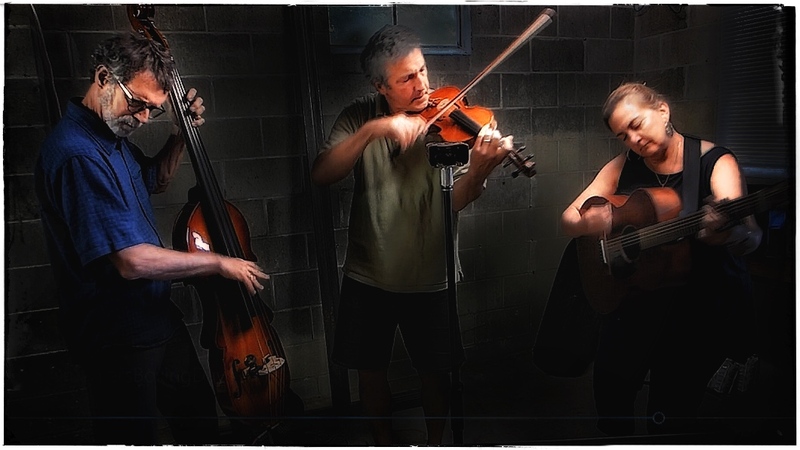 For more information read our “About Contra Dance” and “What to Expect” pages.